I’m attending a baby shower in a few weeks and my cute, preggy friend registered for some items at Pottery Barn. So, I went online today and ordered her something adorable and, as usual, my purchase led Pottery Barn to recommend yet another item to me. 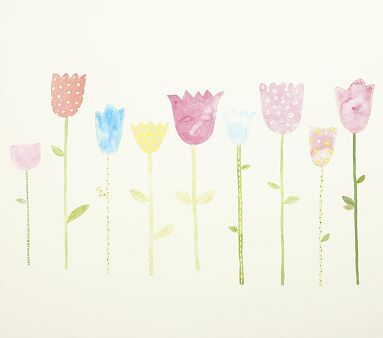 Create a cheerful garden of colorful flowers anywhere in the room with our exclusive peel-and-stick wall decals. Decals are easy to apply and remove. Created from original watercolor illustrations so each bloom is unique. Tulip height ranges from 18″ to 31.5″. Like ’em? Yeah? Me too, I guess. 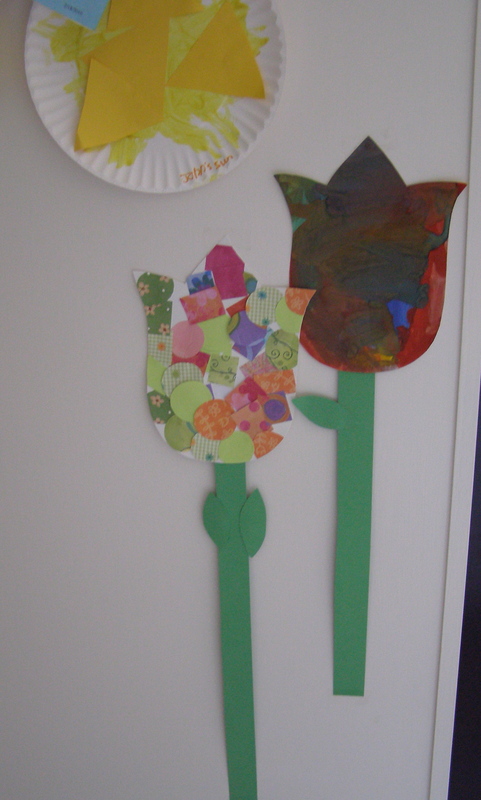 Almost as much as I liked the work that Big Brother brought home from pre-school earlier this week. I mean, come on PB. Really? 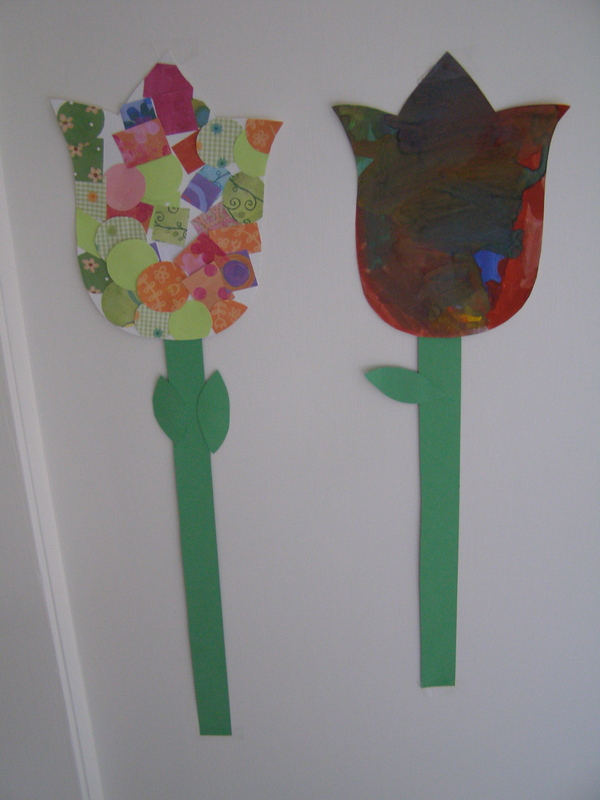 Could Big Brother make me some of those beautiful flowers? Ack, I wouldn’t pay $30 for those either. BB is quite the artist. I’m impressed! Do you think his preschool teacher is a PB fan?